For top loading bobbins. For needle plate #652602007. 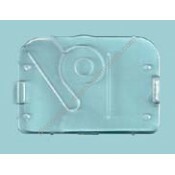 Transparent slide plate (green color for ide..
Transparent snap-on plate with guide lines. For needle plate #752630007, #756604004 and #828602008. .. 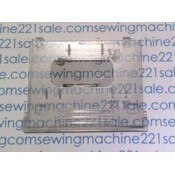 This is a transparent slide-on bobbin cover plate.Fits the following Babylock sewing machine models ..
Quickset Bobbin TYPE Bobbin Cover Plate (transparent).Fits the following Babylock sewing machine mod.. 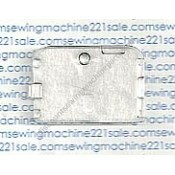 Fits the following Brother sewing machine models XL6252, XL6450, XL6452, XL6562, XR52, XR65, XR..
Bobbin cover plate (transparent)Alternate Part NumbersXC2369021, XC2369051, XC3636021, XC898300, XC8.. Brother bobbin cover slide plate. Fits the following Brother sewing machine models LX2500 .. 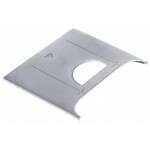 Plate measures 4 1/4" by 2 5/8".Fits the following Janome NewHome sewing machine models 105, 353, .. 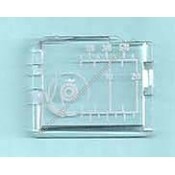 Compatible with needle plate #753603004.Fits the following Elna sewing machine models 3003FS, 3005,.. 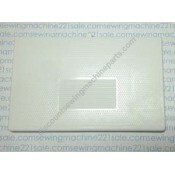 Compatible with needle plate #825640102A.Fits the following Janome NewHome sewing machine models CM2.. Uses zig-zag needle plate #051099.Fits the following Singer sewing machine models 8770, 8763..
Bobbin visor (bobbin cover plate)(slide plate) for the Singer "Inspiration" series. Fits needle pla.. 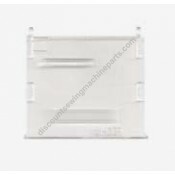 Compatible with needle plate #168618.Fits the following Singer sewing machine models4166Fits the fol..
Transparent shuttle race (bobbin) cover. 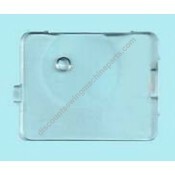 Compatible with needle plate #076103, #086992, #051046.Alt..
Transparent slide plate bobbin cover. Compatible with needle plate #359029900.Fits the following Sin..
Bobbin cover plate compatable with zig-zag needle plate #E3A0255000. Alternate Part Numbers NB02..
No Longer Available Transparent bobbin cover plate. Transparent bobbin cover plate. 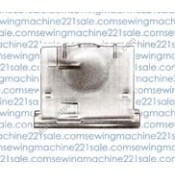 Fits the f..
Bobbin cover plate compatible with needle plate #HP32843.Fits the following Singer sewing machine mo..
Singer transparent slide (bobbin cover) plate. Fits zig-zag plate #137306.Fits the following Singer.. 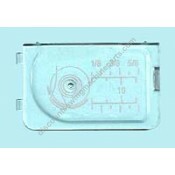 Compatible with needle plate #416472401. 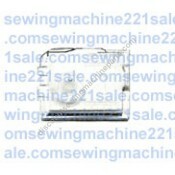 Fits the following Singer sewing machine models 4423, 4.. Fits Singer zig-zag needle plate #416440001.Fits the following Singer sewing machine models FQ4, SE..
Bobbin cover slide plate for needle plate #4129642-01 and 4129642-03. Alternate Part Numbers 7A ..
Bobbin cover plate, clear. Fits the following Husqvarna Viking sewing machine models 116 Emerald..